A great game from the Gradius series, this is the Gofer Gradius II game on cd-rom running on the Duo-R/PCEngine console. There's also a port of this game on the MSX systems. One of the amazing features of this game is the giant suns and firebird on the first level. Hard as nails! 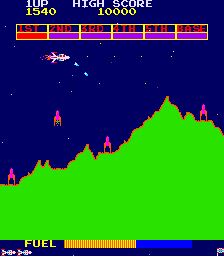 In 1985 Konami released a great game called Gradius (also known as Nemesis) in the arcades but also on home computer systems and consoles. It was heavily inspired after Scramble which was released in 1981 and is considered the precursor or start of the series. In this video I play all the MSX cartridges that I own of the series. 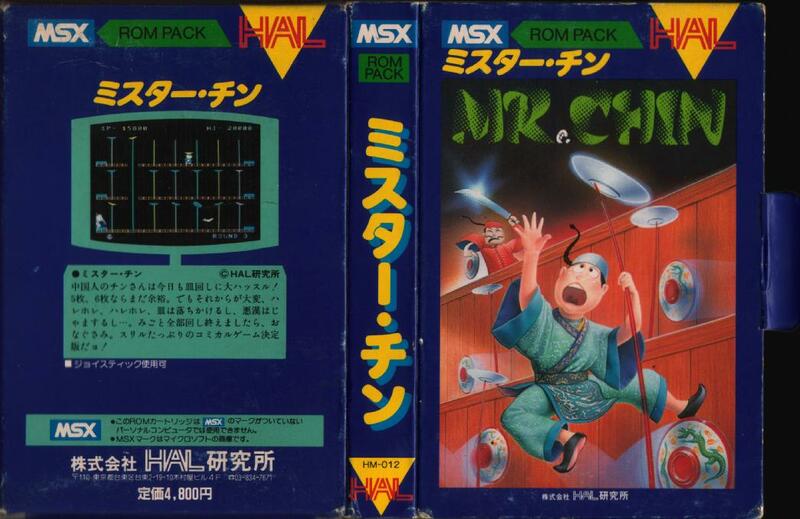 There are more games for the MSX though and a whole plethora on other systems as well. One of my favorite shmup series. I started blogging on this topic with a shmup and here's 2 more. The 1st two games in this great and criminally ceased series are on this disk. This landed on my doormat this week - however I'm still gaining ground on covering my collection as this is a bit of an indulgence. 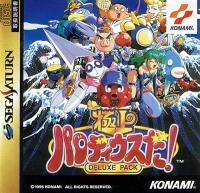 I already have a PAL copy of this for my PAL Saturn but this Japanese copy is for my white Japanese Saturn. With an Action Replay 5-in-1 I can play the PAL version on my white Saturn but its nice to have the true 60Hz version - the intro sequence is slightly different but the main reason is the rumours that extended use of an AR 5in1 damages the Saturn expansion port as the PCB is too thick. Being shmups they suit the middle-aged gamer on a time budget and the kids like this series too due to the visuals but also the large array of characters you can choose to play with. I'm still chasing the 1 credit kill on these though - I find these games just as tough as the Gradius originals but somehow they aren't as annoying due to the overall oddness of these titles and the obscure Japanese cultural references they are stuffed with. These games are also available on lots of other platforms including the SNES, PSP, PC Engine and PS1 (there's even a GameBoy port) - but I stick with the Saturn versions as it has a better reputation for handling 2D. Looking at these games and considering my age I sometimes wonder if I'll ever really grow up. 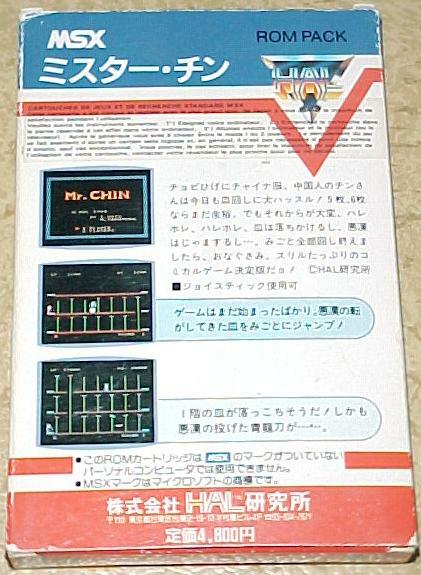 Mr. Chin for ColecoVision (2008)Another upgraded MSX conversion for the ColecoVision is now available for pre-order, this time, Mr. Chin, originally created in 1984 by HAL Labs. Check out all the details over at the AtariAge forums, here. I put my name of the list! Also, be sure to check out some of the other games mentioned in that thread and the author's profile--you'll see lots of screenshots for some downright amazing already released or forthcoming ColecoVision developments that really take the system to new places! Gaming Come Lately - LifeLine (PS2), Jetpac Refuelled (Xbox 360), etc. LifeLine (Konami, 2004, PS2): Image from GameFlyWell, I must say, it's been very enjoyable gaming for me the past few days, despite having limited time to really get into anything at any length. I'm still chomping at the bit to sit down and play MLB '07 The Show from Sony for the PS2, which I've only had time to dabble in so far, and I only just took a few hours this morning to actually do my family's taxes, as well as there being the ever-present 800-pound gorilla ("the book") in my life and needing to finish organizing my videogame and computer collection (adding to many other things). So, while these are not in-depth overviews, I wanted to quickly and specifically talk about LifeLine (2004, Konami, PS2), the infamous adventure game driven mostly by voice commands, and Jetpac Refuelled (2007, Rare, Xbox 360), the latest ~$5 release for Xbox Live Arcade based on a classic game. Konami's Scramble (1981) arcade screenshotWell, it was that time again yesterday, Xbox Live Arcade Wednesday, where Microsoft releases one new Xbox Live Arcade game each Wednesday until further notice. They missed last week, with technical difficulties with the still unreleased "Lumines Live! ", but this week saw Konami's "Scramble" come out (Konami seems to be a HUGE Live supporter, don't they?). For those unfamiliar with "Scramble", it's the 1981 arcade shooting game from Konami where you control a spaceship flying over a forced-scrolling landscape, able to shoot "bullets" and drop bombs, but needing to refuel frequently (by blowing up fuel tanks - go figure). To me, it's the lesser version of Universal's superior and contemporary "Cosmic Avenger", also from 1981, which features lusher landscapes and had a fun ColecoVision conversion that I played a ton of. In any case, I enjoy these types of games and many may be familiar with Scramble's sequel, "Super Cobra", which received conversions on countless platforms in the early to mid-80's courtesy of Parker Brothers. An Achievement Symbol from Frogger 25th Anniversary on Xbox Live ArcadeWell, as part of Xbox Live Wednesday's, which will see interesting new releases on that weekday for the near future, Microsoft and Konami have released "Frogger 25th Anniversary" to Xbox Live Arcade for the Xbox 360 yesterday. I was looking forward to the enhanced visuals and the new modes, but was ultimately left a bit dissapointed.